The software market in India grew 10 per cent to $4.76 billion in 2013, driven by strong adoption of cloud or subscription-based services, research firm Gartner said. The software market stood at $4.334 billion in 2012. "The Indian software industry is in the middle of a multi-year cyclical transition as organisations are focusing investments on technologies to support existing system structure," Gartner Research Director Bhavish Sood said in a statement. Organisations are doing this in order to maintain competitiveness, while still taking advantage of cloud/subscription-based pricing where it makes sense to grow and advance the business, he added. 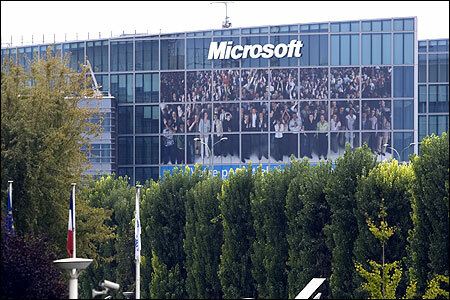 Microsoft was the market leader with 20 per cent share and $957.3 million in revenues. It saw its revenues growing 10.6 per cent from $865.9 million in 2012. There was a shift in vendor rankings from 2013 with Oracle ranking second in terms of total software revenue with approximately $505 million in 2013 and capturing 7.3 per cent of the market. "Trends around business intelligence and analytics, with increasing customer investments in database management systems, helped drive Oracle's top-line growth," Sood said. IBM ranked third ($446.6 million), followed by SAP ($324.3 million), VMware ($94.4 million), CA Technologies ($52.7 million) and Adobe ($42.5 million). Others in the list included SAS and HP as well. Among the BRICS (Brazil, Russia, India, China and South Africa) nations, the Indian software market experienced the highest growth rate. Brazil grew at 7.8 per cent, while China registered a growth rate of 7 per cent. Russia grew at 8.9 per cent and South Africa at 6.3 per cent. "India is growing faster than other emerging countries, which can be attributed to an export-oriented focus over the last decade. However, recent advances in IT communications infrastructure in the country has opened up new avenues for local consumption of IT software and associated services," Sood said. Although there is an economic slowdown, Indian enterprises are still judiciously investing in technology that can be tied to the business objectives and impact their bottom line. "Indian enterprises are generally more price-sensitive compared with enterprises in mature markets, but now they are spending on technology that offers a significant upside in terms of agility or productivity gains with diligent planning," Sood said. Besides large enterprises, the Indian market also boasts a large potential small and midsize business (SMB) segment that is playing a crucial role in changing the consumption patterns of technology. SMBs are on the threshold of leveraging ICT, but they currently lack the scale, and in some cases experience, which is inevitable in understanding and handling technology-related issues, Gartner said.